Far beyond a document format, PDF offers a sophisticated foundation for many types of user applications. HTML, CSS, HTTP and others are used in every human interaction with the web, but few users think of using CSS. It's all the Open Web Platform - great - but who really cares? It works, and besides a relative handful of geeks, thats as much as most anyone wants (or needs) to know. Platform technologies such as HTML and CSS make the Web possible; they provide the infrastructure for the applications end users actually use. For most users these are just distant technical details; they don't want to know anything about these technologies; they just want the benefits. Most government and education websites (and cloud repositories, come to think of it) are little more than repositories of PDF documents with some HTML on the front-end to assist with navigation. Banks and mortgage companies own servers brimming with PDF documents, from automatically-generated statements to mortgage documents. And are what are people so often sharing on the cloud? You guessed it: PDF files. Whether PDF appears on W3C's list or not, it's a de facto member of the Open Web Platform, and a platform technology for communications and business in its own right. PDF is everywhere; in every business transaction, in every bank, every shipper and receiver, every university, every publisher and in each and every consumer's inbox. Everyone accepts PDF. A fixed-layout, shareable, self-contained document meets a fundamental customer need that databases and cloud drives dont even address. Indeed, as we can see from Google's trendline on searches for "pdf", the expansion of cloud-based applications has not substantially dented the increasing popularity of the Portable Document Format. PDF's value proposition stems from a deeper instinct than the real and/or imagined efficiencies of clouds. PDF is universal because everyone wants a format that can (if needed) unambiguously come and go from file-systems and email, work offline, or on a plane, or on vacation, or a backup HD... or even printed on paper. Or scanned from paper to become a PDF document. PDF is a platform not only because the format is universally accepted and its core capabilities are generally supported by a wide variety of vendors, but because PDF has all the relevant features needed to meet this critical need. 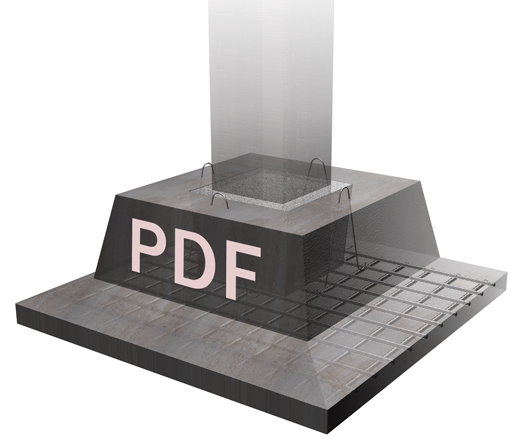 Beyond PDF's core value proposition, most application software today is barely scratching the surface of PDF's capabilities  or the potential arising from the combination of those capabilities with the broad-based acceptance PDF already enjoys. Could the PDF platform disrupt the ECM industry, make the same documents fully usable on both desktop and mobile devices, unleash digital signatures for everyday transactions, or provide the transactional glue to hold accounting and PLM systems together? PDF can do all these things, and more, based on a commitment to open, standards-based technology. The PDF Technical Conference 2015 brings the top PDF experts together in San Jose for two days of sessions and panel discussions about PDF technology! Learn more! The key to understanding PDF, and the ways in which PDF technology serves as a platform in the modern economy, is to appreciate three central truths about the way we work. We want to read and interact with documents, not view a PDF or scroll through a web page. Depending on circumstances (device, setting, connectivity, etc. ), we may want our documents to have specific features (reflowable text, print across multiple pages, include a movie, "display a 3D model with appropriate controls"), but we dont care how (technically) they are achieved. The PDF model begins with at least one page, usually including some text or images. PDF allows for many other features like digital signatures, encryption, attached files, metadata, and semantic information (tags) associated with that page, but the format's core value is based on its ability to reliably represent the document author's intent in all respects. This feature - total reliability in appearance - is something that classical web technologies, which only come together at the browser, pretty fundamentally don't do. Web pages, from availability to appearance, can change at the whim of the web-content manager; the end-user has no control. except to capture that page, which is generally performed (you guessed it) by converting it to PDF. Almost certainly, you've done it yourself, right? Now ask yourself: where you ever really happy with the result? Truth #3. Document means "something that can be reliably shared"
The technical term interoperability isnt one that most end-users know, nor should they. But interoperability is the magic ingredient - the signature - of platform technologies, allowing users to exercise choice in their software irrespective of the content they are working on. PDF inherently encourages interoperability; if my PDF software on MacOS makes a file that your PDF software (say, on Android) can't use, we both have a problem. This "feature" isn't often acknowledged as such by those selling specific solutions, but the fact is that interoperability makes it possible to leverage PDF to serve an almost infinite variety of business objectives. Like so many other platform technologies, the tangible value that comes from leveraging ISO-standardized PDF comes in the form of reduced risk for commercial software developers and new opportunities for users. How does the fact that PDF offers a proven, reliable model for delivering almost any sort of content via a broad and deep set of standardized capabilities make the technology itself a platform for business applications? Developers interested in learning more about PDF technology should attend the PDF Technical Conference 2015 in San Jose, CA this coming October 19-20!